David Koch has left New York’s American Museum of Natural History Board in the wake of mounting pressure. Conservative billionaire David H. Koch has resigned from the board of the American Museum of Natural History in New York after having served for 23 years. Last March, dozens of climate scientists and environmental groups submitted a letter to museums, such as the Smithsonian and the American Museum of Natural History, calling for them to “cut all ties” with fossil fuel companies like the Koch brothers, asserting their influence and money is tainted by their efforts to deny the overwhelming scientific consensus on climate change. The letter is a project of The Natural History Museum, a mobile museum that draws attention to “social and political forces that shape nature yet are left out of traditional natural history museums,” said its co-founder and director, Beka Economopoulos. This past Fall, The Natural History Museum teamed up with environmental groups including Greenpeace and the Sierra Club to create a petition calling on top science and natural history museums to divest from fossil fuels. The Natural History Museum recruited about 20 NGOs to promote the petition, gathering over 552,000 signatures to date. 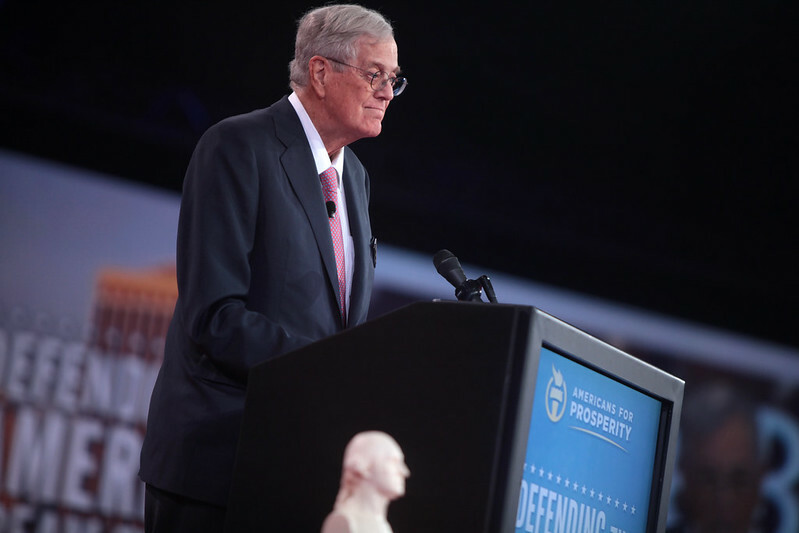 We are thrilled that David Koch, a climate denier and top funder of climate science disinformation campaigns (to the tune of $79 million) is no longer in a leadership position at a venerable science museum like the American Museum of Natural History. With this conflict of interest removed, we hope that the AMNH will consider our invitation to demonstrate its leadership by divesting financial holdings from fossil fuels. While Koch is no longer on the Board of Trustees at the American Museum of Natural History, he is still an Advisory Board member of the Smithsonian National Museum of Natural History.